The displayed solutions will draw heavily from projects the company has realized during the last year, and will include graphics workflows for shopping channels, channel branding, augmented reality and sports graphics for live online streaming. In these scenarios, M2Control will be able to demonstrate its strength in the management of big data and highly automated broadcast pipelines. Because M2Control is aimed at allowing networks the freedom of choice when it comes to hardware and software vendors, Molden Media has invited a number of partners to their booth to demonstrate the many integration opportunities. Ventuz and Vizrt will add their real-time rendering power to the workflows, while Egripment and Trackmen will provide the necessary hardware and tracking technology for the augmented reality setup. 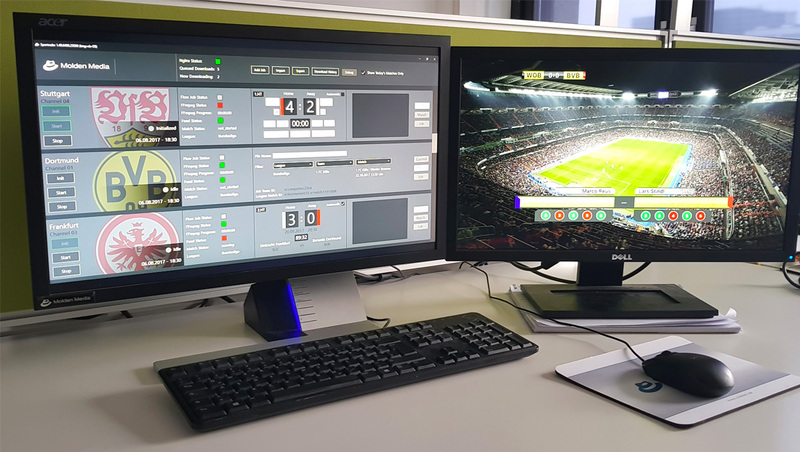 In addition, M2Control and Singular.live will show a streamlined workflow for data-driven real-time graphics for online TV and live streaming of sports broadcasts. This partnership caters to the ongoing shift away from classic television to online services, especially on mobile devices. Viewers will be able to enjoy the same kind of high-end, data-driven graphics content on their phone and tablets as they have on television.